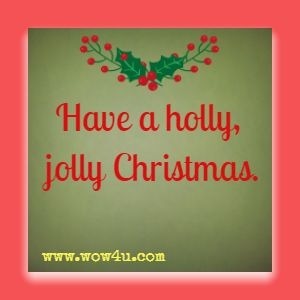 Short and familiar Christmas sayings are also great to use in your Christmas greeting cards. One of the most famous sayings is from Luke 2:11 (KJV) "For unto you is born this day in the city of David a Saviour, which is Christ the Lord." And children all know the saying that Santa Claus said: "Merry Christmas To All and To All A Good Night." Yes, Virginia, there is a Santa Claus. He exists as certainly as love and generosity and devotion exist, and you know that they abound and give to our life its highest beauty and joy. Francis P. Church, Is There A Santa Claus? If Christmas means anything, it is this: God wins in the end. 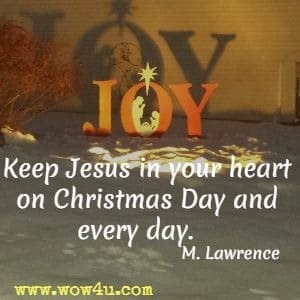 Ray Pritchard, Joy to the World! Christmas and music go together. 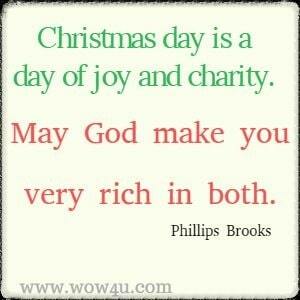 Ray Pritchard, Joy to the World! 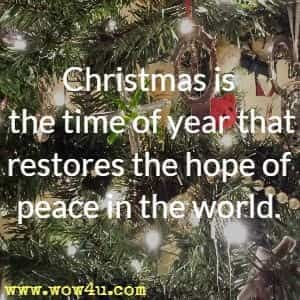 More Quotes find christmas quotes, greetings and messages!